Join the print department of the supermarché mega mart as they pitch new designs for a prototype confectionery’s new packaging which they are going to use to break the market wide open! The designs are ready but we need your help printing and assembling the products! Through a series of vintage processes including screen printing and flat packaging, create your own sweet box to take away! 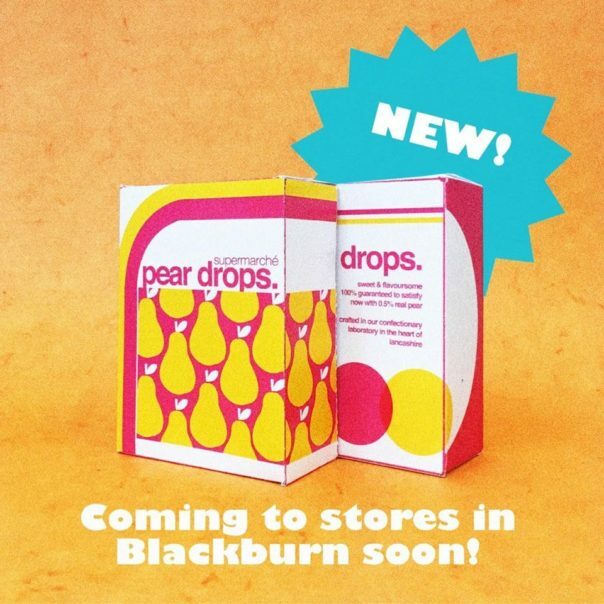 Supermarché is a two man design studio in the heart of Lancashire. Charlie and Ben create colurful, function print, ceramics and graphic design for the home, public spaces, and print.